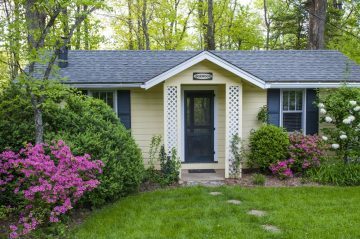 Our relaxing, well-appointed cottages in the Western North Carolina mountains are the perfect place to stay. 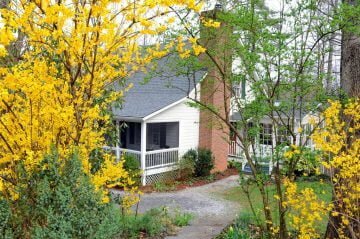 These cottages are like traditional cabins in Saluda, but with charming touches and the convenience of our inn nearby. If you are traveling with children, pets, or just want a romantic place to stay that’s all your own during your getaway, our cottages are just what you’ve been looking for. 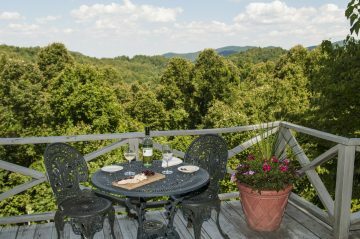 Each of our five cottages has extraordinary views of the surrounding mountain scenery, gas fireplaces, and private screened-in porches or open decks. All the cottages are unique with different amenities like Jacuzzi tubs, private decks, extra bedrooms, and full kitchens. Pets are welcome in the Twin Poplar Cottage and children are welcome in any of the Cottages. 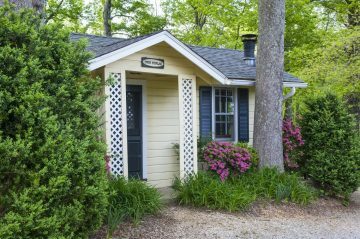 If you’re looking for a cabin-like escape in Saluda, stay in one of our cottages for the getaway you’ve been dreaming of. Queen bed, sitting area, fireplace, phone, whirlpool tub, separate shower, private screened in porch, WiFi. 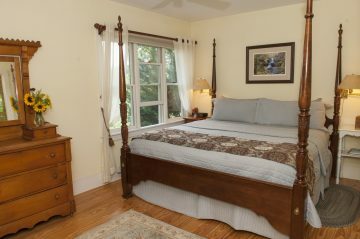 King bed, separate living area w/ sleeper sofa, fireplace, phone, steam shower, whirlpool bath, screened in porch, WiFi. Two-story private home nestled in the woods. Can sleep up to 8. Full kitchen, dining room, gas fireplace, screened-in porch & private deck, WiFi and cable TV. King bed, sitting area, fireplace, newly renovated custom Kohler bathroom, Air Masseur soaking tub for two, phone, extra bedroom with a twin bed, large deck, wifi. Queen bed, jacuzzi tub for two, gas fireplace with sitting area, pet-friendly, private deck with view of garden and mountains, wifi.